Really? It's Monday again? Can't I just relive the past couple of days over and over instead of it being Monday morning? Friday afternoon drinks with the fiancé at Twisted Spur. Yes, I went here 3 times in the first 11 days that they were open. It's that good. Y'all need to go ASAP. 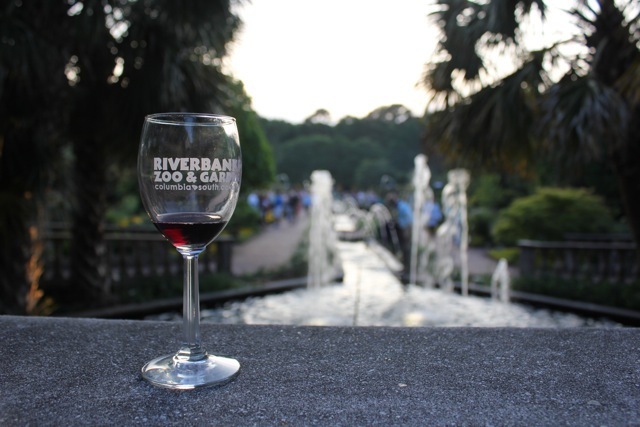 Friday evening at Riverbanks Zoo for their annual Wine Tasting event. We had so much great wine while we were there! After a late night Friday drive down to Kiawah, there was a little bit of island exploring via two wheels, a cute basket, and a sweet bell. We took to the beach in the afternoon & I might have had a little accident on the way courtesy of a brand new boardwalk ramp, the perfect amount of sand, old flip flips, and a heavy beach cart. Not that it could keep me from the beach, though. My soon-to-be-out-of-date monogrammed hat & I thoroughly enjoyed the sunny, 80 degree day with my parents. 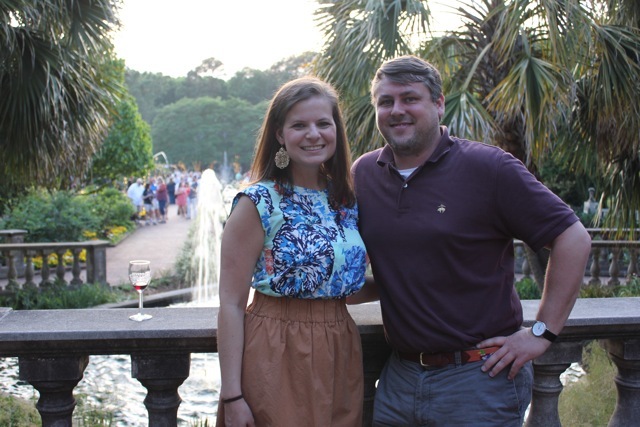 Saturday evening, we attended the Celebrate Kiawah party & continued the fun down at our boardwalk with sunset drinks. Sunday was all about continuing to enjoy the beach and soak up even more sunshine while reading a good book. ... except all good things have to come to an end. Oh these pictures makes me want to live by the beach/ocean SO BADLY!!!! Gorgeous! I hope your injury with the boardwalk wasn't too terrible. I love your outfit! So pretty! This sounds like a perfect weekend! So so so jealous you were able to spend time on the beach! It's cold and rainy here and I'm missing the sun terribly! You are making me want the beach stat! Sounds like a great weekend, enjoy the waning days with the monogram! All that boardwalk craziness (saw it on Twitter) looks insane - I so hope they fix it soon! We were down on Johns yesterday and I was SO SAD that Low Tide was closed. I think our plan is to go down there on Friday :) LOVE your outfit from Friday! What a wonderful weekend!!! The beach looks so wonderful, and I love a good bike ride! Our zoo has a similar event, which is always super fun - I love trying new wines in such a pretty setting! Wine tasting at the zoo sounds amazing! I'm now on a hunt to find out if our zoo has one! I'm so jealous of all your beach photos! What a beautiful beach! I hope you're ok after your little accident. And I love your hat!! Did you paint your bike basket or did you find that fun color?! I'm a southern thirty-something that loves to go exploring and document what I find with pictures and writing. I love being behind the lens of a camera, cheering on my Clemson Tigers, biking the day away, or exploring another brewery with my husband.